Ovidijus Okinskas Follow Ovi is a Software Developer, currently working on BuildVu and improving internal processes. He enjoys self-help reading, batch-cooking and card games. Apache NetBeans Day 2018 has come and gone. Whether you attended, watched it live or missed the event – we will take this opportunity to look back on the event and provide a brief summary of what we saw. If you did miss out, be sure to head over to official Twitter page and catch-up on the tweets/replays. This talk involved both the history of Apache NetBeans as well as defining the roadmap ahead. Geertjan updated us on the current status of Oracle’s second code donation to the Apache foundation. We were provided with an informative tutorial on how we can get involved in NetBeans development by joining the mailing list and getting involved in feature/fix discussions. 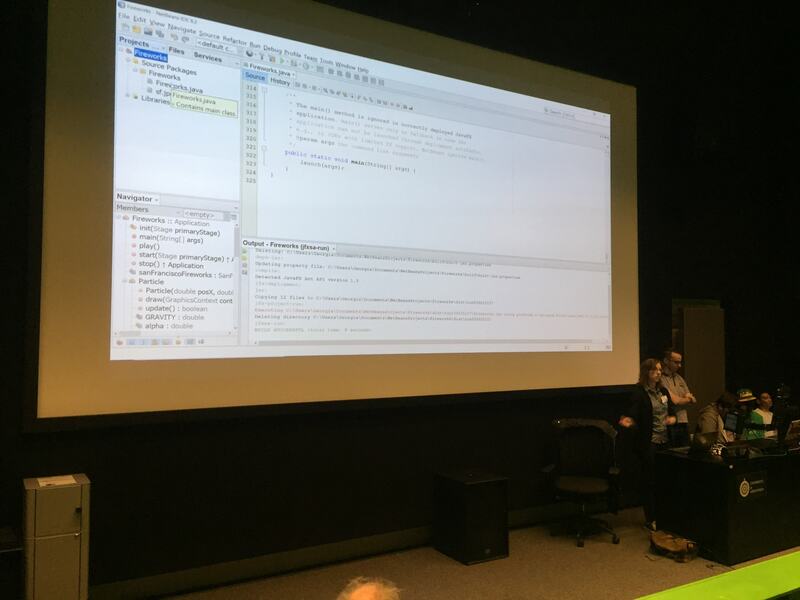 Features of NetBeans 9.0 were also showcased including the built-in JShell environment and how it can be used to auto-generate classes/methods based on scratchpad code from the terminal. IDRsolutions went through a brief history of Java from Java 1.0 to what we can expect in Java 11. We showcased Java 8/9/10 features and why someone would want to use a particular version. 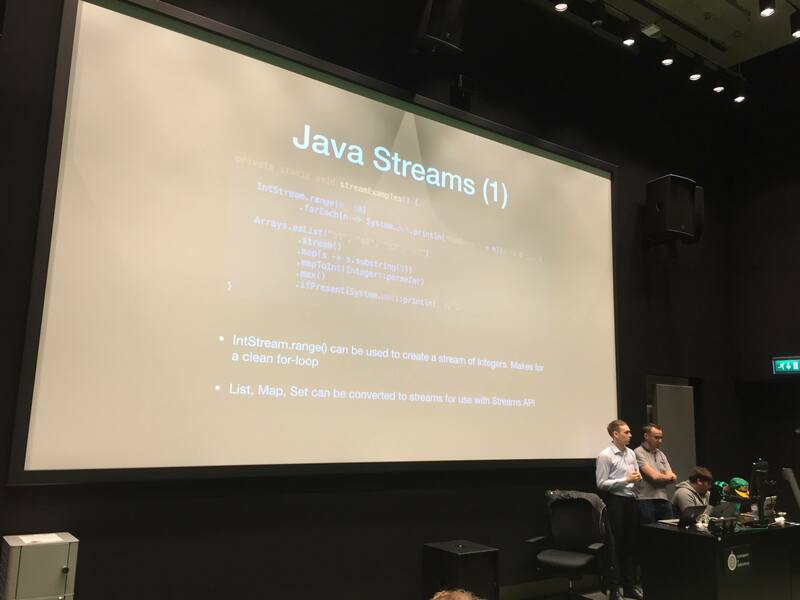 The Java 8 section showcased the usefulness of lambdas and streams etc. Java 9 allows to implement modularity in JDK and for projects via JigSaw. The Java 10 section displayed the var keyword and how this version improves Docker functionality. This talk by Duncan Mcgregor showcased the GraalVM. Graal allows other languages to run on the JVM and Duncan showed us how it can improve run-times when used with Java. The talk described how the VM achieves what it does with a visual display of the process. It takes an input Tree and algorithmically improves the structure until no more improvements can be made. Georgia Ingham and Mark Stephens demonstrated how NetBeans can be used to write code fast. This included shortcuts, Maven, NetBeans plugins, configurations to suit the user, code-completion and generation. Payara provided the audience with an update on Jakarta EE. 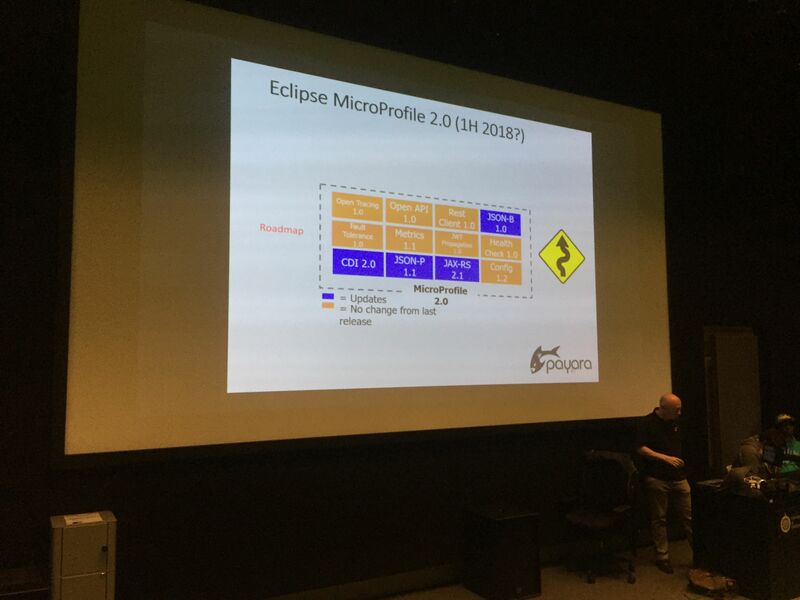 Payara is heavily involved in the Eclipse foundation and informed us on where they see Java EE going after the donation. 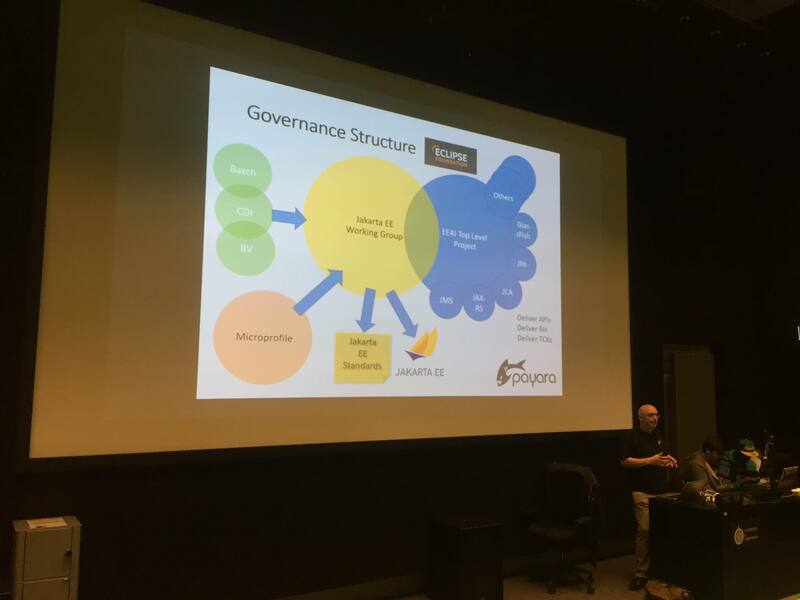 The talk also went into detail on how the Eclipse Foundation actually works, from decision-making to documentation to implementation. IDRsolutions hosted a workshop in which we used NetBeans to easily start creating plugins on the platform. The plugins started at “Hello World”, advancing to creating a Pomodoro Timer and then extending the configuration options of the timer. 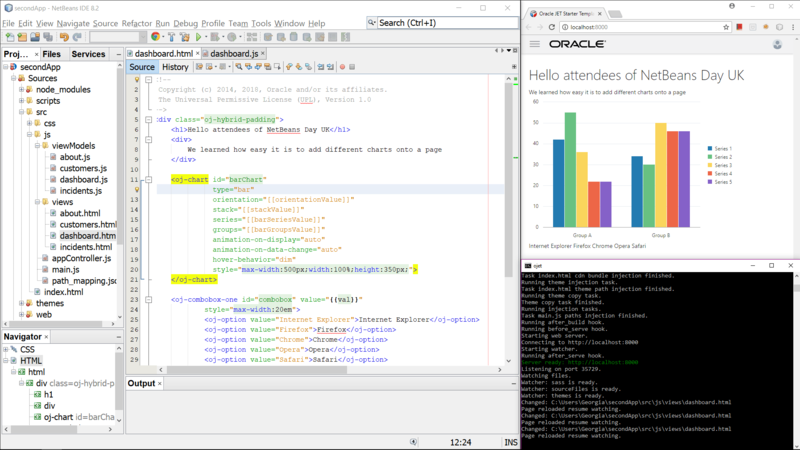 Additionally, we had the opportunity to use the tool for ourselves and build a quick dashboard using the Oracle JET cookbook. Payara showcased MicroProfile, a set of libraries to help Java developers create micro-services easily and improve their maintainability. In addition, the talk delved into the timeline of the project from inception, version iterations as well as improvements we can expect in the future. All we can say is, we learned a lot from this year’s event and enjoyed sharing our talks with the NetBeans community. Additionally, did you enjoy Apache NetBeans Day or have something to suggest for future events? Let us know in the comments or message us directly. « Which version of Java SE should I use?